Most of the time when you are installing some application on your android device from the Google Play store, it will directly go to the phone internal storage. After some time when you installed so many apps on your phone, your phone’s memory is full and facing some out of memory errors on your phone. In Android you can’t find any feature or option to install these application on the External SD card. So what should a user do when Android phone is running out of internal memory? First option is remove some of the unwanted application from the device op move all those application to your eternal SD card. Now you can move all those app easily to your external memory with the help of AppMgr III (App 2 SD) android application. The app is free to download and doesn’t require the roots access on your phone. All you have to install this app on your phone and you are ready to go. 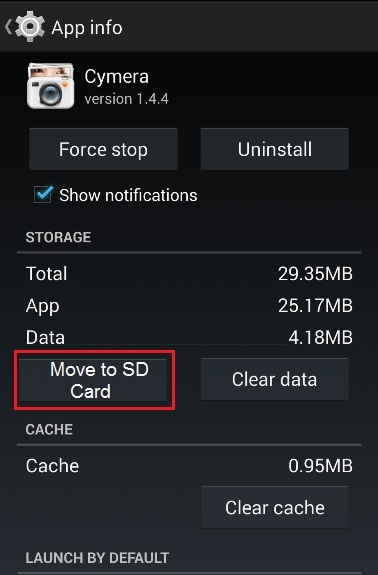 Today, in this guide we’ll show you how you can easily move apps to SD Card on Your Android Device. This guide is only for those users who have the android device with the External SD card feature., This guide will not work on Nexus devices, because they don’t support the external SD card. Also keep in mind that some application require to be stored on the phone internal storage and they can’t be moved from there to SD card. 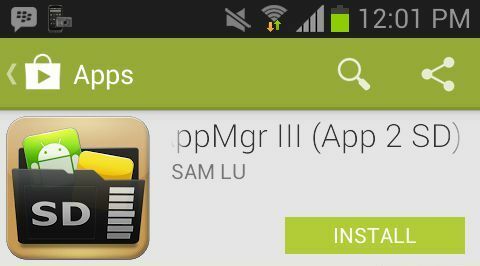 To get started open the Google play store application on your phone and search for the AppMgr III (App 2 SD) or you can find the direct link of the application at the end of this guide. install the app on your phone by hitting the “INSTALL” button. Once the app is installed on your phone, run the application on your device and on the first screen of the app you will see all the apps installed on your device that can be moved over to the external SD card storage. In this guide we are moving the “Cymera” App to the sd card. Tap the app icon from the screen and a new screen will open on your device with the details of the app you chose for moving. Here you will see the new option “Move to SD card”. tap on the button that says “Move to SD card” and you application will move on your external SD card. That’s it. Now your app has been successfully moved over to the phone SD card storage. 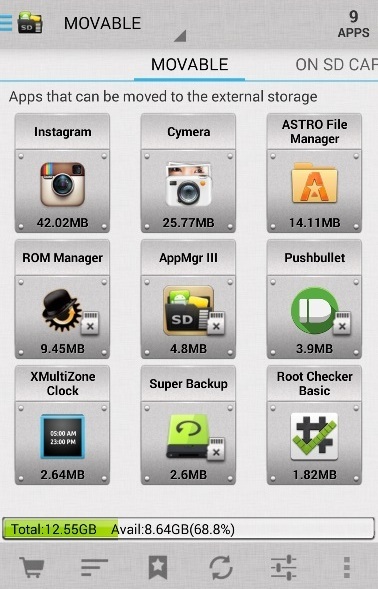 With this way you can move all your apps to your SD card and free up the internal memory of your Android phone. In future if you want to move the app back to the internal storage, follow the same process but this time you will see the “Move to device storage” button on the App info page. Hit that button top move the application back to the internal memory of you phone. This app doesn’t work with the LG Optimus F3 because “the device doesn’t have a real primary external storage, or the primary external storage is emulated.” Really bummed about that, was hoping not to root the device.